The publication of Bach’s Well-Tempered Clavier in 1722 is truly one of the major landmarks of European music history. This was, in effect, the invention of the concept of an "equal temperament" that divided up the octave of 12 notes into 12 mathematically equal parts. (You’ll find more details on how Bach’s tuning evolved during his life on the web-pages dealing with The Well-Tempered Clavier). Now it was possible to use and play in all keys, and to play any kind of chord. The Equal Temperament system received a fair amount of criticism and was not approved by everyone. First of all, it's notoriously difficult to tune, since the tuner is required to nudge the notes slightly off-centre to make the mathematics and the temperament work. Another common complaint directed at Equal Temperament was that the differences between keys was equalised resulting in bland and colourless tone. Unfortunately, there is still another major problem left and that is the inharmonicity of real, live, strings. This problem is of such magnitude that it will directly affect the tuning of any temperament and in an even more dramatic fashion than most theorists seem to be aware of. The theory and the practical side of tuning do not match in real life. One has to understand that sound behaves a lot like light. Contained within sunlight there is a whole spectrum of different colours visible through a prism. In the same manner, one tone contains all notes. 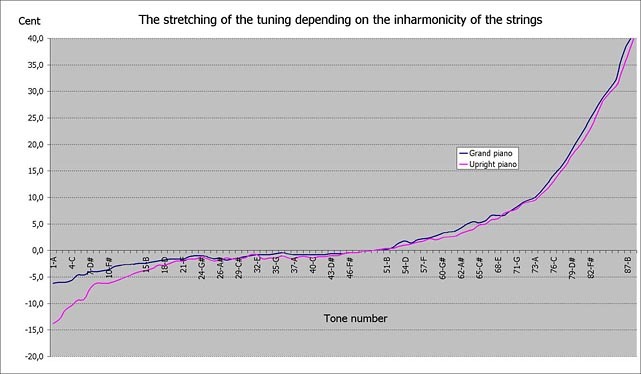 This tonal spectrum is known as the harmonic series or the partials of the tone. Even the very high partials are there, but they are very weak in volume. The inharmonicity is caused by the stiffness in the bending of the strings which creates a much higher pitch of any given tone than mathematically expected. To solve the problem the tuning has to be altered from its theoretical frequency, i.e.. "stretched". Otherwise the resonance of the instrument will be decreased substantially. Which is to say that without this stretching, the instrument will sound flat and dry. In practise such an instrument is not musically viable! This problem affects all stringed instruments. A violinist who thinks he’s or she’s playing a perfect octave is actually making the octave a bit wider to get the resonance from the violin. One has to be very careful while talking about pure intervals; in real life they actually do not exist in the mathematical sense, even when you think you are playing perfectly in tune! If you would, for instance, tune the tone C, you will find another C – the first harmonic – sounding an octave above the first in that sound. The second harmonic will be the interval of a 5th further up in the register and so on, until all notes are present. (See Helmholtz's figure above). The first few harmonics are very important as they give the instrument its character, but they also strongly affect the tuning. The first partial or harmonic which sounds one octave above any given tone is a bit higher than the prime tone one octave over the first sounded prime tone. The tuner has to adapt the prime tone one octave higher on the keyboard to fit in with the first harmonic of the base tone one octave below. The second harmonic is also very prominent and has to be fitted with the tone one octave and a 5th above. To summarize: in real life, a tuner never tunes the 5ths as small as a 1/12 of the Pythagoras comma, which they where supposed to be according to the arithmetic! I must emphasise that no piano has ever been tuned according to the ratios prescribed by the theory. The complications continue: these ratios are not evenly distributed over the whole range of the piano. In fact the 5ths, at one point of the piano – usually in the 5th to 6th octave – are completely in tune, but the octaves are very wide and the Major 3rds are extremely wide! This is the typical tuning of any piano. In the bass register, a smaller piano will yield more substantial deviations and will therefore have a bass tuned lower than that of a concert grand which has less wide octaves. Look at the graph above. If the tuning was done according to the science, there would be just a straight line in the graph. Warning! If you see curves where the octaves are just frequency doubled as the one above, you will immediately know that this is only theoretical knowledge that has very little to do with real life tuning! I can assure you that no Steinway has ever been tuned like the "Steinway Service Manual" says. Since the values are incorrect, there’s actually little value in publishing graphs like this one. The values are not correct, even if the frequency numbers are listed with a precision that goes into the thousands of a Hertz. They are just theoretical. This particular tuning chart is especially interesting. 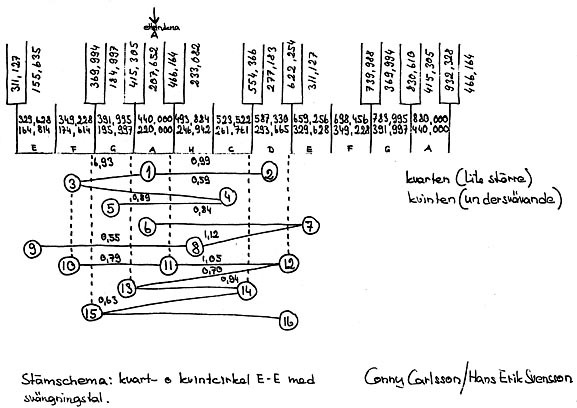 I got it from Conny Carlsson in a course he gave in 1975. Conny was the chief tuner and technician at Swedish Radio for many years. He also founded the piano-tuners association and a museum of piano history. A fantastic man that earned much respect for his outstanding work. But again we can see that he gives the theoretical values of frequencies to the third decimal place! Conny has never tuned a Steinway in this manner. It would have sounded just awful. I have seen very little mentioned about this problem caused by inharmonicity; very few articles, books or internet pages deal with this problem. 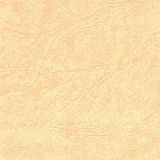 Since the difference affects the temperament quite a lot – up to 40 cent of a half tone – it really has to be taken into account. Otherwise the theory and the practical side of tuning won’t match. The complexity of the problem is enhanced even more by the fact that different instruments engender different types of inharmonicity and generate different tuning curves! Compare the graphs above for two different pianos. I did mention Hermann von Helmholtz (1821-1894) earlier in connection with the illustration of harmonics. He was a German physician and scientist, active in both neurology, optics, electricity and acoustics. His book “On the Sensations of Tone,” is a standard work still of great value. In a series of Appendices, of which some have become more famous than the text itself, he also presented theoretical analyses of several tuning temperaments. But, as you can read for yourself in connection with the picture above, these are again theoretical figures that have very little in common with real life tuning! Be careful when you look on the Internet – it’s easy to become confused. With my electric tuning machine, I also am able to register any harmonics I want to measure. This is an excellent way to control what sounds you are hearing while tuning, and to be able to present as exact a tuning as possible. The practical aspects of tuning could be discussed in great length. As for now in this forum, this is quite enough. On the download page you will find a short segment of a Mozart CD and my tuning of the Grand piano. There you will also find a little game: in one of the movements, there is a cut within the track, splicing together a recording and tuning made one month apart. I challenge you to spot the edit! In this section the tuning is 0,2 cents higher than right before. Remember that to have a tuning that's inside a 1 cent margin is very unusual and a 0,2 cent difference is almost impossible to identify. I would be very surprised if you would be able to identify the location of the cut.